Status: offline Complete newbie here. I haven't play to Steel Panthers since years. I see there are two parallel developments: SPWW2 and SPWaW. Are the scenario compatible between games i.e. will the mega campaign work with SPWW2? I assume this is no. Status: offline You are correct. They are two separate games. Status: offline WinSPWW2 got its start when someone modded WW2 equipment to Steel Panthers 2 (equipment in vanilla game are post WW2). Then someone else asked for source code of Steel Panthers 3 and got it. This began development of SPWAW, and it attracted developers from SPWW2. The two competing teams were hissing (cat reference ) at each others. So different game engines and totally different games. 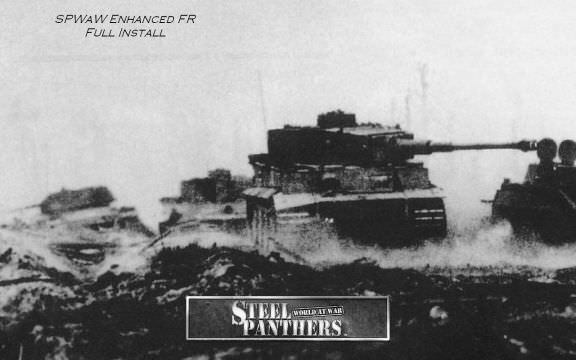 If you have scenarios of the first Steel Panthers game (from 1995 or so), those are more compatible with WinSPWW2. WinSPWW2 and its brother WinSPMBT still get official updates. SPWAW is updated unofficially by few good men led by Major Mess.